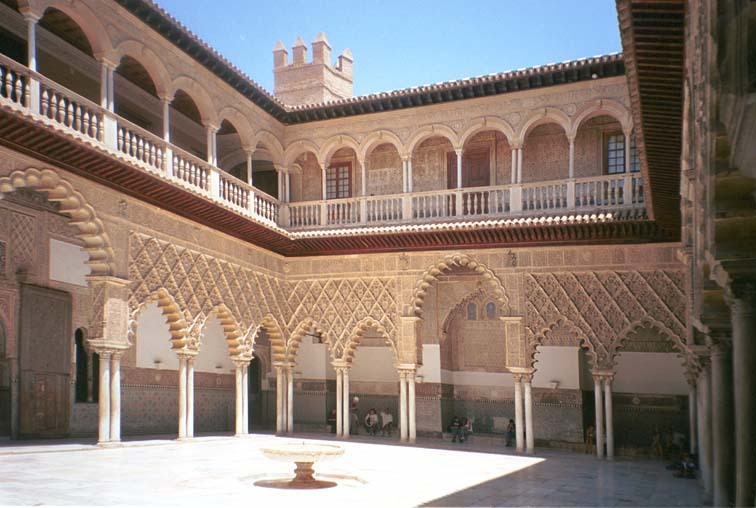 The exterior space in the Alcázar Palace is a combination of open courtyards, walkways, patios, and cozy spaces. 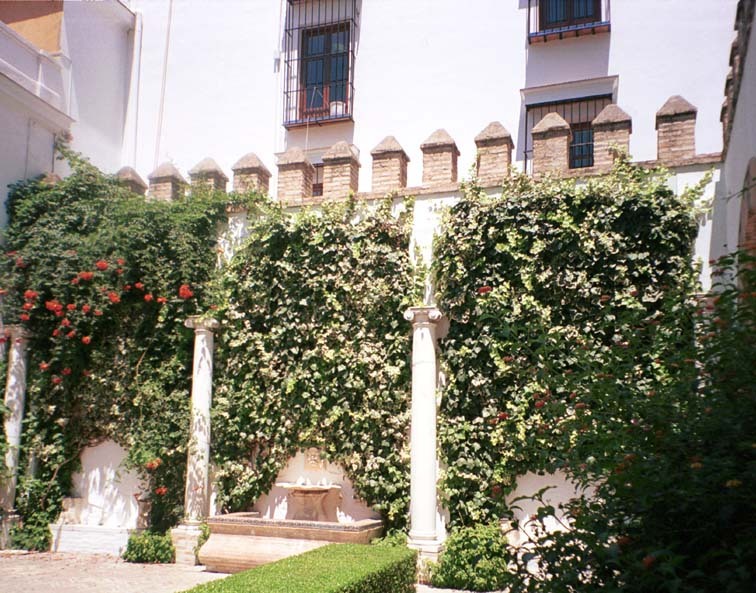 This wall is part of the original palace walls. Notice the battlements at the top of the wall. 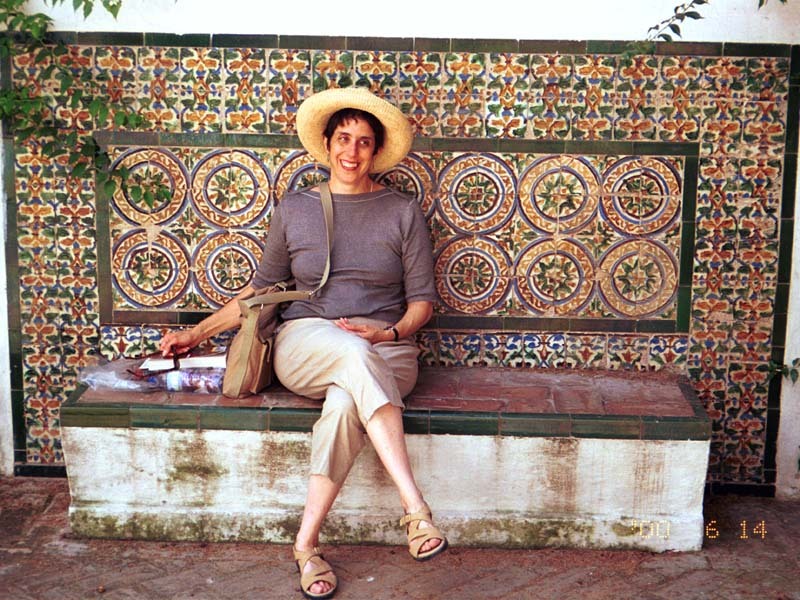 Lynne rested for a few minutes on this bench. 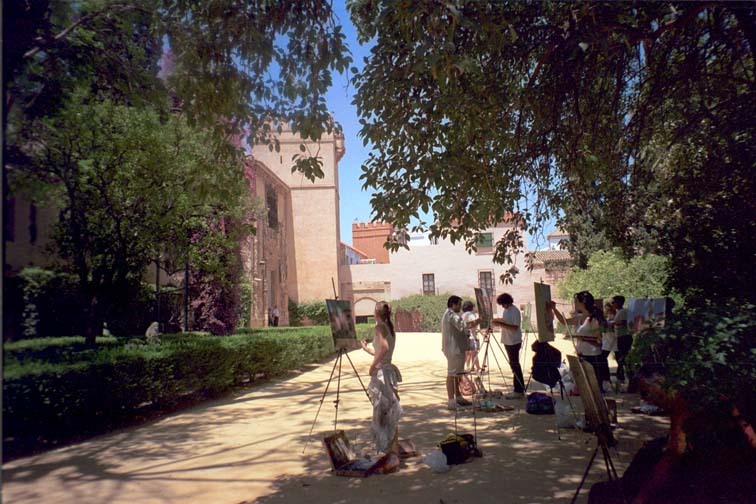 This art class was painting on a beautiful day.